Almost everyone has had a frightening experience with cancer, either directly or indirectly. If you’re like most people, you would do anything to lower your cancer risk. 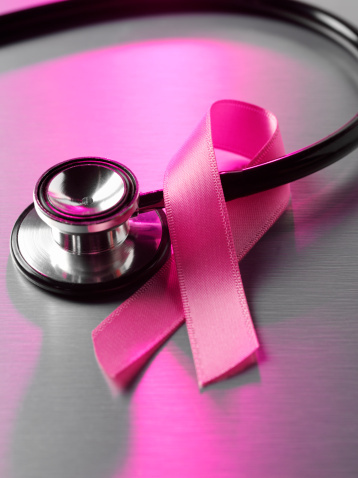 Approximately 1 in 8 American women and 1 in 9 Canadian women will develop breast cancer in their lifetime. A woman who has a high breast cancer risk is also at a higher risk of developing ovarian and/or endometrial cancer. Researchers from the National Cancer Institute have recently moved one step closer to finding a way to help women determine their risk of developing breast, ovarian and endometrial cancer. Being able to predict cancer risk will allow women to make informed decisions when it comes to cancer prevention and treatment options. The current study included white, non-Hispanic participants that were 50 years of age or older that had participated in the Prostate, Lung, Colorectal and Ovarian Cancer Screening Trial (PLCO) or the National Institutes of Health – AARP Diet and Health Study. The researchers looked at a number of variables to determine cancer risk. For all three models, many variables were examined including: estrogen and progestin menopausal hormone therapy (MHT) use, maternal age at first live birth, menopausal status, family history of breast or ovarian cancer, alcohol consumption body mass index (BMI), smoking history, and oral contraceptive user ovarian cancer. The researchers then used statistics to look for patterns that showed why some women were diagnosed with cancer, while others were not. The breast cancer risk model performed the best. 56, 638 women were included in this model with the researchers predicting that 2,930 of them would be diagnosed with breast cancer. In reality, 2,934 of these women were diagnosed with breast cancer. 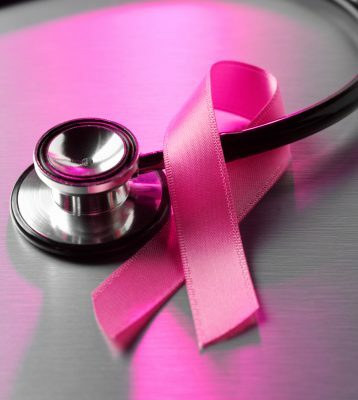 However, it should be noted that the breast cancer risk model that was used in this study drastically underestimated the number of breast cancer cases in pre-menopausal women. The ovarian cancer risk model also performed relatively well. The researchers predicted that 406 women would be diagnosed with ovarian cancer, while in reality 377 women were diagnosed. The endometrial cancer risk model performed the worst with the researchers predicting that 640 women would be diagnosed with endometrial cancer, while only 532 were actually diagnosed. The researchers found that a number of variables were related to cancer risk. It was found that women with lower BMI’s had a lower cancer risk. Additionally, women who took birth control pills or who used hormone replacement therapy were at an increased cancer risk compared to those that did not. Furthermore, women who had three or four children had a lower cancer risk compared to those that only had one child. Lastly, women who had their first child in their 20’s were at a lower cancer risk than those that had their first child in their 30’s or 40’s. It’s important to note that this research focused on white women who were 50 and older who did not have mutations in the BRCA1 or BRCA2 genes (both mutations are known to increase the risk of breast and ovarian cancer). The findings from this research may therefore not apply to all women. Future research should look at whether these three models can predict cancer risk for women of all ages and races. The findings from this research show that the models which use risk factors that are easily obtained from patients can help to predict cancer risk for endometrial, ovarian and breast cancer in white women over the age of 50. This will not only help with clinical decision-making, but it may also allow patients the ability to modify existing, controllable behaviors to potentially reduce their cancer risk.